M.I.A. at Meltdown – Is this the end? And what are we supposed to do now? When ‘AIM’ dropped in September of last year to mixed-to-negative reviews it really did feel like the end. The previously released ‘Borders’ showed that there was still pop genius and political fire in M.I.A. 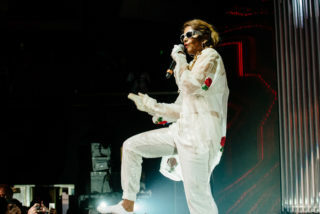 but across the rest of the album, half songs that peaked with her sampling her own ‘Arular’ track ‘Galang’ (admittedly due to a legal dispute over an Elton John sample) suggested something hard to swallow – M.I.A. seemed to be all out of ideas. Worse still was the sense that most people hadn’t really bothered to even check out ‘AIM’. Tonight M.I.A. closes her own-curated Meltdown Festival with a tightly executed, gapless run of career hits that is quite simply incredible. But before we get into that, and the fact that setlists like this appears to only support the notion of an artist reflecting on (and enjoying) what they’ve achieved, rather than what they want to achieve next, it’s worth sparing a thought for how M.I.A. 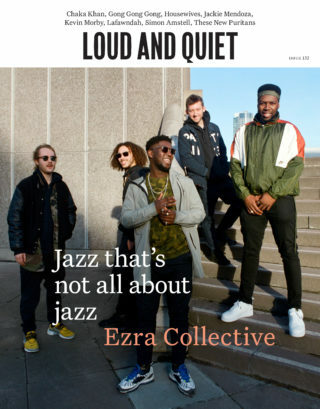 has revitalised the Southbank Centre’s Meltdown – a 10-day run of shows that has felt Guy Garvey’d-out long before the Elbow singer curated last year’s event. It may well be that M.I.A.’s singular sound feels outdated in 2017, but over the last 10 days her influence and connects have breathed new life into a series that was often fusty and low on simple fun. M.I.A. 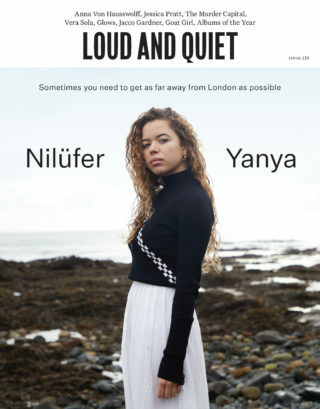 by comparison pulled together a lineup of rappers and artists that represent youth culture in a time of political change and underdog success, from Giggs and Princess Nokia to past collaborator Afrikan Boy, to Mykki Blanco, to Young M.A – world artists, straight and queer, how M.I.A. has been preaching since 2005. She starts her victory lap with ‘Borders’, which gives us a sense of what we’re in for – the obliging big tunes. M.I.A. is all in white with red roses on a sheer gown. A wall of illuminated bars block off a majority of the stage, leaving a narrow ledge for the singer to swagger back and forth on, between two backing dancers in ‘AIM’ tracksuits and her hype woman in Beetlejuice leggings. Behind the bars with an expanse of space to dance in is DJ Tiger who looks like a science lab technician and shouts out in that old school garage way. Maybe it stuns people, or perhaps it’s the all-seated theatre, but ‘Borders’ is received with a flatter than expected response. The same goes for ‘Go Off’ and ‘Pull Up The People’, despite a short roar of approval when M.I.A. says, “This song is for anyone out there helping people who are worse off than them,” and for a brief moment it feels like no matter how banging the song choices are tonight, maybe in this space it’s just not going to happen. M.I.A. 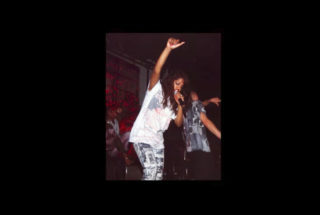 does something about that, jumping into the crowd for the following ‘Bamboo Banga’ and running up and down the aisles. It’s the slap around we all needed and from that point on the vibe of the room matches the aggression of the dancers on stage, the pristine sound system (they hold the TV BAFTAs here) and M.I.A.’s casual cool that will probably outlive her songs in any case. She breaks no sweat as she strolls back and forth, leans back and swishes, reaches down to hold hands with the front row. It’s a fast, tight show that’s initially done within 35 minutes. Her encore includes ‘Ali R U Ok?’ from ‘AIM’, and ‘Bad Girls’, through which she encourages woman in the crowd to join her onstage until security finally freak out about the amount of people on the thin walkway. 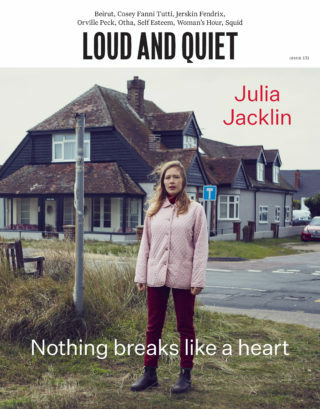 There’s ‘Paper Planes’, of course, and something special to end – ‘Bird Song’ and a very first live performance of ‘Freedun’ are backed by a female a capella youth choir in matching ‘Fly Pirate’ tees. Both songs sound infinitely better than they do on ‘AIM’, with ‘Freedun’ bordering on spiritual, whether you’re dehydrated through intense sweating or not. 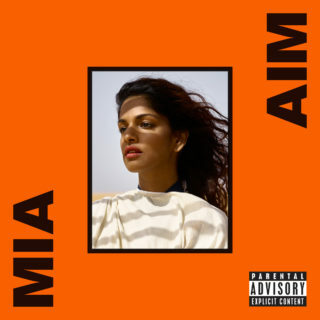 If ‘AIM’ really is the end, M.I.A. leaves more than Meltdown in better shape than she found it. As an artist who’s always represented unity, the package of M.I.A. has ironically alienated some, who feel it too hip for them – a fashion crowd thing. The diversity of tonight’s audience negates that, with 65 year-old white gentlemen standing on their chairs between whole families and people of all nationalities. We’re going to miss her more than we probably think. M.I.A. at Meltdown Festival, Royal Festival Hall, Southbank Centre, London. 19 June 2017.